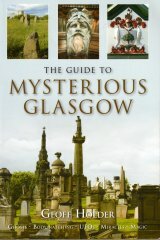 A Glasgow based mason and builder, he was originally "to be found at William Stewart's, 61 Buchanan Street" ( POD , 1803). He later set up on his own at premises in Robertson Street, Anderston Walk, c. 1807, then relocated to York Street, c. 1809, where he remained. 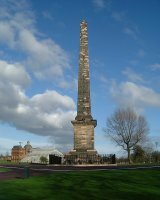 He was responsible for building the Nelson Monument on Glasgow Green (1806), designed by David Hamilton , the first 'official' public monument erected to the great admiral in Britain. The monument is in the form of a Roman obelisk and pedestal inscribed with the names of Nelson's greatest victories. Standing 44 metres (144 ft) tall, Brockett was probably involved in its repair after it was shattered by lightning in 1810. The monument was repaired again in 2002 by Hunter & Clark, as part of the city council's regeneration of 'The Green' and the restoration of its monuments. Brockett's name, together with Hamilton's, is inscribed on a stone plaque set into the path around the monument.